Shiva Sayana Vrata, or Shiva Sayana Chaturdasi, is dedicated to Lord Shiva and is observed on the 14th day of the Shukla Paksha (waxing phase of moon) in Ashada Month. 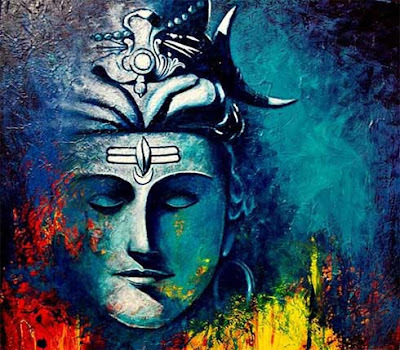 In 2019, Shiva Sayana Chaturdashi and Vrata begins on July 15. Some Hindu communities believe that Lord Shiva goes into yoganidra (sleep) during the Chaturmas period, the four holy months in Hinduism, on Shiva Sayana Chaturdasi day. The Shravan month begins two days after Shiva Sayana Chaturdasi and this is one of the most auspicious periods to perform rituals and pujas dedicated to Lord Shiva. The popular belief is that Shiva during the period of four months destroys all sins and helps devotees in the path of Moksha. It is believed that Shiva ushers in peace and prosperity. A legend suggests that the Lord ties all sins with Jada (hair) and sleeps on a tiger skin. In some regions, Shiva Shaynotsav and Shiv Dolotsav are organized during the period. Shiva Sayana Chaturdashi is quite similar to the Vishnu Sayana, which takes place during the same corresponding period. The belief is that Lord Vishnu goes to deep slumber on the Ksheer Sagara during the four months of Chaturmasa.